Fight for fair support payments with help from an alimony attorney in Norco CA. These days, stereotypes about alimony have gone out the window. Rather than being paid by the husband to the wife, alimony can be paid by either spouse. 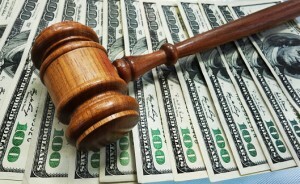 In some cases, alimony may not even be needed, or it may be needed for a very short period of time. Whether you hope to reach an alimony agreement in mediations or think your case will end up litigated in court, you will want an experienced alimony attorney in Norco CA on your side to protect your interests. What Factors Influence Alimony Agreements? Your alimony attorney in Norco CA can help by gathering evidence as to these points and preparing a strong argument in support of the amount of alimony you believe is fair. Is an Alimony Attorney in Norco CA a Good Investment? Unfortunately, sometimes people want to handle their divorce proceedings–including the alimony agreement–on their own because they think it will save them money. However, this may only be a short-term savings! Torrence L. Howell offers his services as an alimony attorney in Norco CA at a very reasonable price and delivers a tremendous value when you consider that the fair alimony agreements he helps secure will be in effect for years to come. What if Financial Needs Change? If the supported spouse gets a new job and can now cover their own needs, it may be appropriate to reduce alimony. And if the spouse responsible for paying alimony gets laid off, alimony may need to be reduced so they can keep up with the payments. If you suspect changes in your financial situation–or those of your ex–justify an alimony modification, contact your alimony attorney in Norco CA right away for help filling out the necessary papers. If you have questions about alimony, you can get answers during a free initial consultation with Torrence L. Howell. Just call (909) 920-0908 to get a taste for what he can do as your alimony attorney in Norco CA.